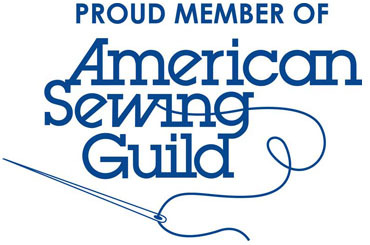 We are the Chicago Chapter of the American Sewing Guild. ASG Chicago is a fabric of 19 Neighborhood Groups throughout the Chicagoland and surrounding areas. Our members enjoy all aspects of sewing garments, accessories, quilting and home decor projects. ASG Chicago Neighborhood Groups meet at different locations and times throughout the Chicagoland area. Local groups provide an informal opportunity for “hands-on” sewing experiences, friendly support, and a place to meet other Guild members to share sewing ideas and information. Lasting friendships are formed through the sharing of a common interest — sewing. Members may attend as many Neighborhood Group meetings as they wish. For a listing and calendar of meetings, see our neighborhood group calendar. Annual National Conference featuring workshops and seminars taught by nationally recognized professionals, special events and Chapter President meetings. Quarterly Chapter Newsletter, The Cutting Edge, which gives information on local sewing related events and classes. Chapter events presenting local and national speakers, member fashion shows and workshops on a wide range of sewing and fashion topics that will inform and inspire. Discounts to Guild members from national fabric store chains and many local, independent retailers. Special member rates to all ASG activities. Contacts with new sewing friends and sewing professionals. 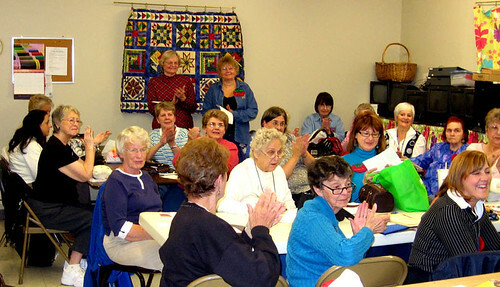 Local Neighborhood Groups provide opportunities for sharing ideas and “hands-on” sewing experiences in a smaller more social atmosphere for members only. New product information from the sewing industry. Renewed enthusiasm for creative sewing. Current information on sewing-related events and sewing classes offered by local retailers. Prospective members are encouraged to attend two meetings prior to joining. Join today by becoming a member! Don’t have a neighborhood group or looking for a group closer to your job? We’re sew happy to help! Complete the form below and our Neighborhood Group Coordinator will help you get in touch with a group.